A Canadian entrepreneur has sought to recycle the heat generated through bitcoin mining by growing plants and fish suited to the temperatures produced by cryptocurrency mining rigs by utilizing an aquaponic system. Bruce Hardy, a Manitoba-based entrepreneur, has sought to repurpose the heat produced by his bitcoin mining rig to produce edible plants and fish that are suited to the temperatures generated by cryptocurrency mining equipment. Mr. Hardy owns and operates 30 mining rigs, which are housed in a 20,000-square-foot building situated in the Rural Municipality of St. Francois Xavier, Manitoba. The heat produced by the miners is then circulated throughout the building, and used to grow edible plants and fish. Approximately 800 Arctic Char are raised in a large fish tank located on the first floor of the building. The water that the fish are raised becomes highly rich in nitrates – and thus comprises an excellent plant fertilizer. With the press of a button, Mr. Hardy is able to remotely pump the nitrate-rich water to feed the lettuce, basil, and sprouted barley fodder which is grown aquaponically on the floor above the fish. “It’s all connected, much like Earth,” Mr. Hardy told local news. Mr. Hardy is also the president of Myera Group – a company that seeks to develop innovative and sustainable systems for food production. Mr. Hardy states that he has mined bitcoin for approximately two years. After initially investing in large-scale air conditioning to cool his mining rig, Mr. Hardy states that he realized the heat produced by mining could be diverted to be used for agricultural production. “When bitcoin came, they were an excellent proxy for what a server could do in terms of emulating heat, and whether we could use that heat for agricultural purposes,” said Mr. Hardy. Mr. Hardy states that the project is still in its infancy, with only a quarter of the building’s second floor presently housing mining equipment and plants. Mr. Hardy claims to have received interest in his operation from Chinese investors and Australian researchers, and hopes to soon be able to expand his project to fill the unused space in his building. Aside from offering cheap commercial hydroelectricity, Manitoba experiences among the lowest temperatures of major cities in North America – which has recently garnered the attention of major cryptocurrency mining companies seeking to flee the regulatory uncertainty presently associated with China. 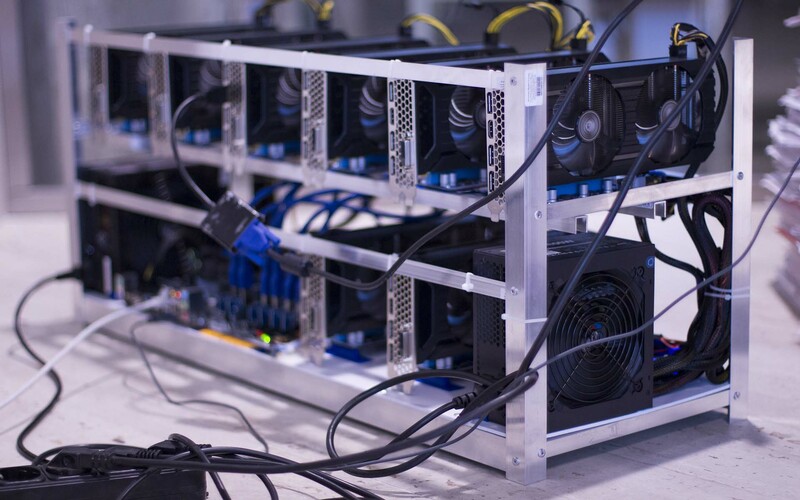 According to Manitoba Hydro, the company has received over 100 inquiries from cryptocurrency miners in the past three months about specific sites, including from North American brokers representing Chinese investors. Despite such, Reuters reports that “Manitoba Hydro is asking the province’s utilities board to approve a rate increase of 7.9 percent across the board, effective April 1, 2018,” – which would render the cost of electricity in Manitoba considerable higher than that offered by the nearby Canadian province of Quebec. Do you think that more companies will seek to repurpose the heat produced by cryptocurrency mining for food production? Share your thoughts in the comments section below! A decision made back in 2016 by former Ripple boss Chris Larsen causing a rift between him and the company took another twist this week. A deal was signed with a bank consortium which included an option for its partner to buy 5 million tokens at when they were valued at a pittance. Ripple has countersued, claiming the deal was made in bad faith. Following the meteoric price rise of XRP in the past month that contract is now worth $12 billion and both sides are locked in a courtroom battle that could influence the future of the company and its digital currency. Ripple filed a counterclaim this week in a New York state court with accusations that the R3 consortium signed the deal in bad faith according to Fortune. The San Francisco blockchain company also claims that R3 used the partnership to leech expertise and develop a competing product. The filing includes emails from R3 CEO and represents almost 10% of the company’s 55 billion XRP allocated from the 100 billion total. The filing claims that Ripple does not need to honor the contract as the consortium failed to hold up its end of the deal which was to sign Ripple up with a bank. It also claims insider knowledge that R3 knew both JP Morgan Chase and Goldman Sachs were pulling out of the consortium. Rather, R3 had misrepresented its resources and current ability to perform solely to induce Ripple into executing the Agreements. For example, although R3 represented to Ripple that it would have access to its large consortium of leading banks, R3 knew and had reason to know that several key banks that would be instrumental to Ripple’s success would soon be departing from its consortium. In R3’s complaint, it claims a decision by Ripple last June to terminate the option was unjustified, and the real motive behind the decision was related to XRP’s sudden increase in value. Banks are betting that blockchain technology will ultimately replace the slow and costly existing methods of fund transfers. Ripple offers its own solution in XRP but many of the banks want full control and are developing their own blockchains, such as R3’s Corda platform. XRP has fallen heavily in the past few weeks from an all-time high of $3.80 down over 33% to $2.53 where it currently trades at the time of writing. It is currently the third largest cryptocurrency with a market capacity of just under $100 billion according to Livecoinwatch. Is Ripple the future of banking or will they use their own platforms? Add your comments below. The post The Twelve Billion Dollar Ripple Lawsuit Saga Deepens appeared first on Bitcoinist.com. The post Crypto Derivative Platform Counterparty Is Coming to the Bitcoin Cash Network appeared first on Bitcoin News. Praxis is an intern, apprentice-like placement company, acting as a practical, resumé building experience for those who believe university is a waste of intellect and time and treasure. Recently, they’ve announced tuition can be paid in bitcoin cash, which offers near instant transaction times and low fees. Praxis started in 2013 as a response to what some graduates find, especially in the US, once leaving university: they’re saddled with debt, have acquired no real new skills to speak of, and they’ve been out of the job market for half a decade, leaving resumes flat. It’s a combination for frustrating entrance into working life. Praxis eschews the university experience, preferring to match student interest with real-world business, small and start-up. Participants have landed experiences with companies the likes of Bitpay to Seasteading to Major League Baseball. And while working, they’re given courses on how to improve personally and professionally. Bitcoin cash (BCH) is the younger twin brother of bitcoin core (BTC), created through what’s known as a hard fork in the Bitcoin network. Enthusiasts worried BTC was becoming too cumbersome. Transaction times lagged and fees were excessive, souring user experience and, they believed, accessibility and adoption. Core supporters suddenly repeated the mantra BTC was a store of value, like gold, better used for settlement between large institutions, and so its medium of exchange properties were moot. They also argued a hard fork would confuse people and potentially expose the network to security risks. BCH advocates wanted both a store of value and a medium of exchange, a currency capable of holding its value and more…with the ability to buy a cup of coffee. The two positions became irreconcilable, and BCH was born August of last year. In under six months, bitcoin cash has developed a relatively stable price, hovering around the 2,500 USD point, and its fees and confirmation times are reminiscent of BTC’s early days. Bitcoin cash has been on an adoption tear, with exchanges like Coinbase and, if rumors are to be believed, Cboe, accepting the currency, along with plans from a prominent debit card provider to include it for loads. Sites are popping up all the time as more merchants onboard. He’s lectured all over the world, traveling and teaching about the value of self-initiative and breaking away from legacy institutions of learning. “My obsession with Praxis and what we’re doing is similar to my obsession with bitcoin cash,” he emphasized. Do you think more merchants will adopt bitcoin cash? Let us know in the comments section below. Images courtesy of Pixabay, Praxis. The post Ditch University and High Transaction Fees – Praxis Accepts Bitcoin Cash appeared first on Bitcoin News. “When one door closes, another one opens,” so the saying goes. This is particularly relevant in crypto land where digital doors open and close daily. China’s crypto mining clampdown last week has sparked an exodus from the country to friendlier climes, and India has seen an opportunity. Cryptocurrency enthusiasts in India are being made offers to set up mining facilities according to reports. This has come despite the government’s still cautious stance on digital currencies. In recent weeks Indian banks have been flexing their muscles with crypto exchanges and clamping down on transfers for crypto trading. We have received several offers over the past few days. We are considering it as a business opportunity as mining operations. We are now waiting for the government of India’s guidelines for crypto business. Entrepreneurs are hoping for clear incentives from the government in order to legally operate mining facilities within the country. India has some of the lowest priced electricity in the world so, like China, is an ideal country to base mining operations. According to Statista, power rates in India have averaged $0.08 per kWh in 2017, with China averaging $0.09. There are countries across the globe inviting miners to initiate mining activities. They are offering free electricity, rebates on set-up as well as tax advantages, along with citizenship offer. As many as 75% of the world’s computers dedicated to mining cryptocurrencies have been set up in China. As a result, the People’s Republic is responsible for as much as 80% of the global supply of Bitcoin and miners are concerned about the threat of ever-present government restriction. India, on the other hand, is only accountable for around 2% of the supply and is behind countries in Scandinavia and the Czech Republic. All eyes are now on the Indian government which is poised to make a decision regarding digital currencies. If the outcome is favorable, India could be the next hub of mining and blockchain innovation as Beijing is slowly distancing itself from the nascent industry. Will India be crypto friendly or are more clampdowns inevitable? Add your thoughts below. The post India Eyeing Opportunity Amid China’s Crypto Mining Exodus appeared first on Bitcoinist.com. The market cap of cryptocurrencies, the world’s fastest growing asset class, has surpassed $677 billion. And bitcoin itself has surged past the payment processing company Paypal and the fast food company McDonald’s. Still, it looks tiny compared to other global markets. The site The Money Project has put together a series of interesting pictures describing the market cap of the world’s money and markets. Each block square is worth $100 billion. The world top 50 richest people are worth a whopping $1.9 trillion. Bitcoin’s pseudonymous creator Satoshi Nakamoto with his coins unmoved from day one is also in the billionaire league. And in recent weeks, ripple’s record highs have propelled its co-founder creator Chris Larsen to one of the world’s richest people. He owns 5.19 billion of its XRP cryptocurrency, which gives his holdings a rough value of $12.82 billion, according to Forbes. The total value of the world’s coins and banknotes is roughly $7.6 trillion. The World Gold Council estimated that the world’s total above ground gold reserves are 187,200 tonnes. Bitcoin has a maximum of 21 million coins. Both gold and bitcoin are generated with the process of mining, but with different means. Hundreds of tons of gold are mined every year through means that include placer mining, hard rock mining, byproduct mining, gold ore processing. New bitcoins are generated by a competitive and decentralized process also called mining. And miners need to process transactions and secure the network using specialized hardware. We really have come a long way in the past decade. Do you think Bitcoin will surge over Gold? When? Leave your comments below. The post A Visual Comparison Between Bitcoin and Other Markets appeared first on Bitcoin News. The most popular cryptocurrency bitcoin also referred as digital gold, has had an exciting and sumptuous year. Bitcoin’s price grew over 1500 percent in past 12 months, making it one of the best investment options. The digital asset is now used as a social status boosting element due to its escalating price. Bernstein Research has compared China’s status boosting alcoholic drink Baijiu that could define the economics of bitcoin. To further understand what actually raises demand, the researcher also compares the virtual currency to the traditional Chinese medicine dubbed E Jiao. Bitcoin has a supply limit of 21 million coins after which it can only be exchanged but not mined. As it reaches the end point, the complexity increases to mine the currency. Therefore, miners have to use more resources to receive a smaller reward. Additionally, the crypto market has unreliability on what the actual demand of the cryptocurrency is? Many experts claim that around 1,000 people, commonly referred as crypto whales, control 40 percent of the market. Moreover, the crypto market is uncertain of the future. The unpredictability nature of bitcoin causes the volatility in its price. Also, Bitcoin exchanges around the world have different prices which could result in sudden drop and peaks in its value. E Jiao, a Chinese traditional medicine, is extracted from donkey skin which is mainly used for anti-aging and blood enrichment. The analysts compared bitcoin’s demand with the popular E Jiao medicine. As per the researchers, in 2016 China churned out 5,000 tons of E Jiao from 2.5 million donkey skins. This has considerably decreased the population of donkeys, leading to entry of fake medicines made out of cow and horse skin. The demand has benefited the E Jiao which increased its price by 18 times over the last ten years. Bernstein calls the limited supply situation as “credible scarcity,” something that can relate to bitcoin which also has a limited supply. The only upper hand E Jiao has it that it has predictable demand. Whereas the demand for the popular Fetien brand of baijiu, a high-end Chinese liquor falls between bitcoin and E Jiao. According to Chinese social status serving the drink indicates a higher status, similar to that of Veblen goods. “This sort of Veblen demand was one of the factors which drove the consumer price of Fetien up by around 400 percent between 2007 and 2012 and is once again contributing to the 64 percent rise over the last 12 months,” said the analysts. According to analysts, bitcoin is showcasing similar features that of Veblen goods. People owning bitcoin feel superior and cool and even more exclusive as the price rises. Owning bitcoin, the digital gold indicates the social status of a person. In the end, be it bitcoin, Fetien or E Jiao, all have gained its value due to the idea of limited supply. The first half of 2018 will be important and interesting for crypto enthusiasts on how the bitcoin market plays. The increasing popularity around the world has already put it under surveillance of governments and regulatory authorities. South Korea and Australia recently have tightened their grip on crypto traders. Although, it is uncertain how much will the regulatory movement affect the speculative demand for bitcoin. Is the road ahead for bitcoin difficult or smooth? Let us know your opinion in the comments section. The post Bitcoin Price Driver: Ownership becomes a Matter of Social Status appeared first on BTCMANAGER. An Indian news publication, Economic Times, reported on January 4, 2018, that the government’s policymaking subsidiary is actively looking into the applications of blockchain technology in the areas of education and agriculture. The body of the government currently exploring the technology is Niti Aayog, also known as the National Institution for Transforming India and the policy think tank for the government. The committee is interested in developing a proof of concept to establish the utility of blockchain technology and its viability. The government body behind the exploration, Niti Aayog, was instituted in 2015 with a view to achieving sustainable development goals and the reconcilement of technology with ordinary governance. A recent hackathon held by the body saw the development of numerous blockchain-based prototypes across many sectors. An unnamed government representative, speaking to the press, stated that the technology “is a safe system for document verification and hence can be adopted in sectors like education, health, and agriculture.” Indeed, startup companies around the world are in a race to find novel, yet practical uses for blockchain technology. The same goes for the governments of several developed nations, with most of them announcing a slew of pilot projects aimed at improving efficiency. The Indian government is clearly trying to make the most of the benefits offered by blockchain technology to provide an efficient way of maintaining trust within transactions. The immutability offered by a blockchain allows monetary exchanges to be permanently recorded and impossible to modify. After all, digital currencies have used the same technology for close to a decade now. Even though the Indian government continues to be indecisive about the legislation and taxation of cryptocurrencies, it has always made its interest in the underlying blockchain technology very apparent. For instance, the country’s central bank, the Reserve Bank of India (RBI) issued multiple press releases cautioning citizens of the country against cryptocurrencies such as bitcoin and even compared digital currencies to a “Ponzi scheme” in December 2017. However, in the same time frame, the RBI not only explored the possibility of their own state-backed cryptocurrency but also dabbled in several areas surrounding blockchain technology. In November 2017, it was reported that the State Bank of India, India’s largest nationalized bank, was starting the rollout of its blockchain enabled smart contracts, with a similar Know Your Customer (KYC) initiative expected to launch soon as well. The programs are part of an ongoing effort by 22 Indian banks to find applications of blockchain technology in the banking sector. The effort, named “BankChain,” was launched almost a year prior to the initial rollout of its applications. The Indian government is aware that the adoption of blockchain technology can be done without the need also to embrace the potentially disruptive and risky nature of cryptocurrencies, all while still enjoying the advantages of a distributed and decentralized ledger. As a consequence, India is joining the ranks of several other countries, including Australia, Germany, and even China, by exploring the use of the technology in various aspects across the country. The post Indian Think Tank looks to Launch Blockchain-based Pilot Projects appeared first on BTCMANAGER. Viacoin (VIA) looks set to test the all-time high against bitcoin at 0.0008599, the peak achieved in June 2017. The altcoin has a promising roadmap and will become a contender in the privacy space with styx, a zero-knowledge proof protocol that enables unlinkable atomic payments for for VIA. As one of the pioneers of atomic swaps and the Lightning Network, along with Decred, Viacoin has one of the strongest technical foundations for a cryptocurrency. With the lead developer, known as Romano, having contributed to both bitcoin and litecoin, viacoin is one project that has a bright future. BTCManager reported on the altcoin’s implementation of atomic swaps in October 2017 and the new roadmap for 2018 will be released soon. Moreover, the altcoin is certain to get more attention as it is expected to be rolled out across bitcoin ATM’s in the near future. In 2018, we can expect the release of Viacoin Core 0.15, which should implement the MAST protocol upgrade, improving transaction sizes and bringing smart contracts to the blockchain network. Styx, the layer on top of viacoin that will allow for anonymous atomic swaps, will be based on TumbleBit. With masternodes acting as tumblers, the development ported over to viacoin could mean that users will be able to stake their VIA to receive payments for tumbling transactions. Finally, we should see a wider array of wallets for the altcoin; most notably, Ledger and Trezor are anticipated to support VIA soon, and there are plans for a Lightning Network-enabled wallet based on Jack Maller’s Zap and a Java-based wallet based on the popular bitcoin wallet Samourai. Since we have gone over some of the fundamentals of viacoin, we now look at the technical picture. The chart below shows the weekly timeframe for VIA-BTC, illustrating that a downtrend was in place from October 2017 to December 2017. As we entered into 2018, the weekly close for VIA-BTC was higher than the Alligator, suggesting the start of an uptrend around 0.00032449. The price has since risen to around 0.00047 at the time of writing. So far this week, the price action has tested the fractal resistance at 0.00054, with a weekly close above this level opening up the all-time high at 0.0008599. These two fractals are the only resistances for VIA on this timeframe. Using the Ichimoku indicator, we see that viacoin is attempting a bullish Kumo breakout; a weekly close above the cloud will give a signal that an uptrend will begin. Moreover, we see that the lagging line (purple) has moved above the previous price action, providing yet another buy signal on this week’s close. Looking at the monthly price action, we see that a strong bullish signal may be given on January’s close. The market is currently within equilibrium, resting near the conversion (blue) and base (red) lines. A monthly close higher than these two indicators will give a buy signal and suggest a drift toward 0.0008599. A break above 0.0008599 would open up the Fibonacci extension level at 0.00137491, shown below. The author has been long VIA-BTC since January 1, 2018. Do you own research and do not take this article as investment advice. The post Viacoin Eyes All-time High Against Bitcoin appeared first on BTCMANAGER. The much-hyped technology also can transform the scientific landscape. According to a report conducted by Digital Science, the technology can solve several problems in the science industry primarily related to authorship. Additionally, blockchain has the potential to store data that can neither be erased or corrupted allowing publications to record permanent decisions which in return improves the review process. As with the crypto space overall, some are still doubtful of its use in science mainly due to the cost. Scientists predict the cryptographic technology can not only help the environment but also can bring a lot of change in the food safety, medicine, and research fields. Moreover, it can be instrumental in the animal safety industry by recording an animal’s date of birth, their medications and also can accurately record locations as to where they are kept. The blockchain technology can be very beneficial for researchers as it can assist them in gathering and conserving data of research activities. As per Joris Van Rossum, special projects Director at the London based research company Digital Science, the nascent technology will make it easier to emulate results where published accounts do not have a clear set-out method or system. Moreover, the revolutionary technology can help track activities through the peer-review process. This in return would award critics with virtual currency. Additionally, the public ledger will also allow reviewers to monitor how often scientific researchers gather computations. Gideon Greenspan, the founder of Coin Science, another London-based blockchain technology company, says Scienceroot and Pluto are both elements of the same “universe.”. The company is planning to provide an open-source, decentralized platform dubbed Multichain. Researchers could use the platform to upload data to the publicly shared digital ledger which won’t be controlled by any individual or group. Greenspan opposes blockchain projects of Scienceroot and Pluto as it can get very costly to record and maintain all data in the long run. According to Greenspan, recording research data can be even more expensive than cryptocurrencies as it produces more data than virtual currencies. Claudia Pagliari, a researcher of digital health tracking, also believes blockchain will find a prospective home in the scientific field. Although, a drawback of the technology is that if someone adds fake data on the network, it is impossible to erase it due to its tamper-proof feature. Will scientific research institutes embrace the blockchain technology? Let us know your thoughts in comments section. The post How Can Blockchain Help Science? appeared first on BTCMANAGER. https://dailybitcoinreport.com/wp-content/uploads/2017/09/bitcoin-300x59.png 0 0 admin https://dailybitcoinreport.com/wp-content/uploads/2017/09/bitcoin-300x59.png admin2018-01-13 03:05:362018-01-13 03:05:36How Can Blockchain Help Science?